Cersei here! 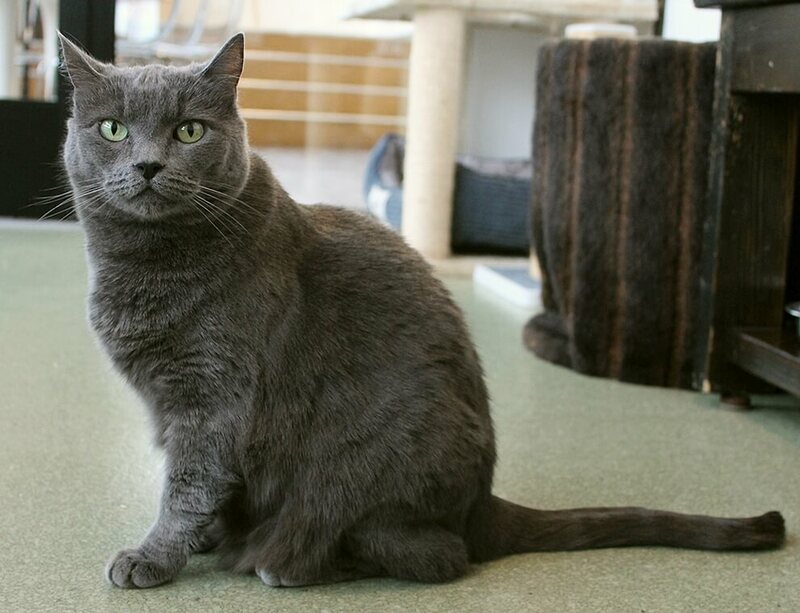 I am a regal queen of a kitty with beautiful “blue”/grey fur and a very loving personality. 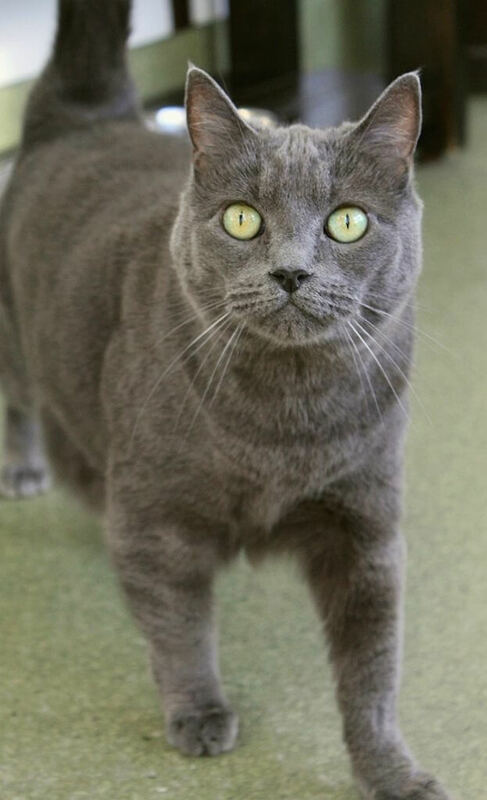 I am about 9 years old and am usually the first kitty to walk up and greet people whenever they visit the Pixie cattery! I like to rub up against their legs and say, “Pet me, please!” Though I generally live very peacefully around other kitties, I’m not a huge fan of them and would be perfectly happy as your one-and-only feline friend. I’m a queen, after all! I actually came to Pixie with my brother, Jamie, who has since been adopted. We weren’t very bonded, but I didn’t mind having another cat around either. I am very gentle with children and have a mellow demeanor that makes me a great cat for apartment life. I do love, love, love people and would be happy to have a home where someone is around a lot of the time — queens need their worship and I will reward my loyal subjects with that love and affection returned ten fold! I’m in great health and the folks here at Pixie already provided me with a dental so my adopter won’t have to worry about that. I’m very snuggly and soft and am the perfect bed warmer for the cold winter season — won’t you come meet me? I love to make new friends! I come to you fixed, vaccinated, and micro-chipped for an adoption fee of $100.